A-1 Concrete Leveling Northern Virginia can help lift and level the deck around your pool creating a safer, and visually pleasing area to enjoy your summer days. Our patented process will bring the whole pool deck up without the worry of cracking concrete, and without the expense of having to tear it out and replace it with new poured concrete. Our experts can level your pool decks without disturbing the landscaping or the pool itself. Our trucks remain in the front or your house, and only the hoses and tools we need to lift the concrete are taken around to the pool itself. If there is one area on your property that needs level concrete the most, it would be around your pool. Uneven slabs can cause dangerous trips and falls which can result in serious injury. This is why A-1 Concrete Leveling Northern Virginia's affordable process for lifting concrete is so important. 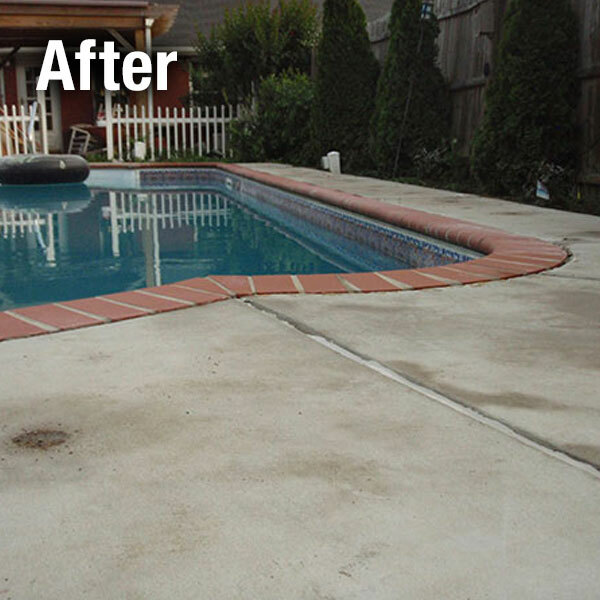 Contact us today to find out just how quick and easy it can be to get your pool looking like new again. We offer concrete lifting and leveling for pool decks in the Northern Virginia, serving the greater Washington DC area, including the counties of Fairfax, Arlington, Loudoun, Prince William, Stafford, and Faquier. 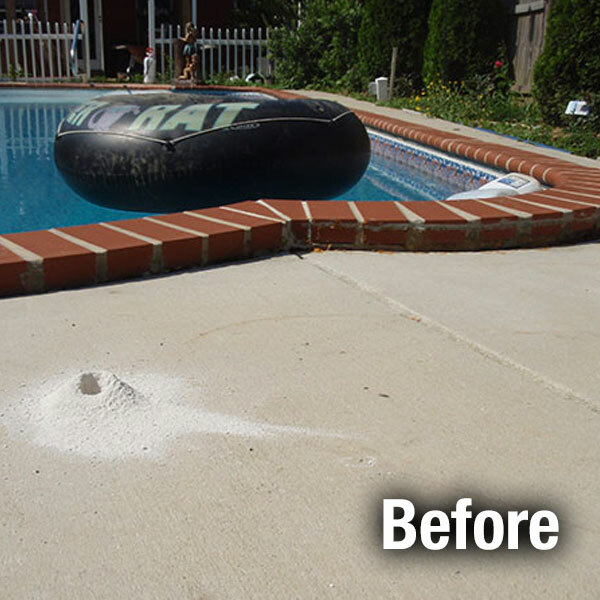 It is critical to keep your pool deck leveled. Tripping can cause serious injuries, so be sure those cracks are all even.